When we were in New Zealand a few years ago we rode the Shotover Jet. It was exciting to say the least! the boat drivers are maniacs. Anyway, we survived and thoroughly enjoyed our week in this beautiful country. Auckland is one of the largest cities in New Zealand and a very prominent tourist hub, thanks to the number of things to see and do in and around the city. Whether you want an activity that will pump your adrenalin such as sky jumping, you can get yourself strapped up and jump off from the tallest building in Auckland, the Sky Tower. If that sounds a bit more daring for you, why not go bungee jumping and wean yourself into sky jumping for your next holiday in Auckland? Away from adrenalin intriguing activities, you can also enjoy less intriguing activities such as taking excursions at the charming botanical gardens, taking safaris and even visiting the aquariums where you get to see the dolphin and whales among other aquamarines. Lovers of history will not be disappointed in Auckland thanks to the numerous museums. Alternatively, you can visit the Howick Historical Village and get to experience rich architecture at its finest from the Maori buildings which are home to numerous historical artifacts from within and without the region. If you like, you can hire a Maori Guided tour who will guide you in the area and tell to you the ancient stories about the historical tribes that reside in the Howick Historical Village. The region has so much to do and see that you will need a lot of time, a month to be precise, to be able to explore all there is to. Do you love nature and wouldn’t mind to take a 90km flight or cruise outside the Great Barrier Island? Then you might want to explore the pristine paradise that has amazing bird and marine life and very charming native forests. Auckland has endless spots for exploration and an overabundance of sporting activities to engage in. The east coast and west coast beaches are the closest of beaches around Auckland, offering charming clean sand beaches and ideal waters for swimming and engaging in water sporting activities. If you wish to engage in surfing, head on to the west coast beaches. The best thing about Auckland Beaches is that they are within an hour’s drive from the heart of the city. Auckland boasts the most vivacious, engaging, and entertaining nightlife. Elegant bars and venues are located at the waterfront, offering a picturesque panoramic view of the beaches. Being a cosmopolitan city, you will be lost for options when it comes to entertainment from comedy shows, to theater performances, trendy bars, and flashy casinos, and clubs that will ensure you shake you leg till morning. The best way to remember a destination is to take something with you, whether it is a gift souvenir for you or for a loved one. Luckily, Auckland has numerous up market elegant designer shops and department stores selling home wares, fashion clothing, jewelry and a lot more. There are flea open markets that stock tourist souvenirs such as arts and crafts and locally handmade carvings. Such a wide variety only means that there is something for everyone no matter the budget. Auckland boasts of the best restaurants and cafés within and without the city, selling mouthwatering international and local delicacies to satisfy every taste bud. The most popular type of food in Auckland is sea food thus be prepared to sample it prepared in different recipes. Barcelona is a great place to visit during one of their many festivals. Why? Because excitement abounds and the festivities will offer you an experience that will last you a lifetime, and one that will make you want to return to Barcelona and do it all over again. The history of the city of Barcelona creates an amalgamation of ancient pagan rituals and today’s strong sense of religion, culminating in great celebrations that can go on for days on end. Late February running through the 3rd of March there is the Carnival which takes place at night. Carnival was banned by the Franco dictatorship but today people get to enjoy the most exciting carnival experience ever. On the last day they celebrate Saint Medir with a loud procession and singing choirs. In the beginning of the month of March marks the beginning of the Holy Week with a palm session for the Palm Sunday. As expected, festivities throughout the week will be religious and solemn in nature, until Easter Sunday when celebrations start anew. Festivities will run through to Easter Monday which happens to be a pagan holiday. April marks the celebrations honoring Saint Jordi which also combines with rose and book festivities. It is a time in which Pagan meets religion in these engaging and entertaining, and at times guttural, celebrations. June sees the start of the El Grec celebrations which are marked by dancing, events, concerts, and a series of performances. The month of August sees Barcelonans and visitors celebrate the Feast of the Assumption which is marked with festivities and parties and great feasts. September introduces to you the Festivity of La Merce (the patron saint of Barcelona), a period characterized by parades and dancing. You get sporting activities such as judo tournaments, sailing regattas, walking races, and even swimming competitions. 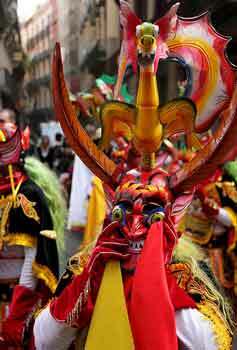 Pagan rituals and religious ceremonies coincide harmoniously during this period. The Month of December as expected is equally full of festivities, with Santa Lucia starting from the start of the month all through to Christmas. Santa Lucia is characterized by the annual crib fare which traditionally starts at the cathedral area. Santa Lucia festivities will merge with the Christmas Traditions to result in a very interesting combination of pagan rituals and religious anticipation. Generally though, the main celebration of Christmas is a private home affair. Ushering the New Year is one of the biggest celebrations in Barcelona with people in the restaurants, bars, and even the streets dressing up for the party. The atmosphere is normally a carnival one and as the clock ticks towards twelve, the strike of 12 sees people eat twelve grapes in tandem with each of the chimes. Ensure you make note of all of the festivities in Barcelona when planning your holiday and join in the festivities. Many restaurants and stores are closed during the celebrations so plan ahead. Visit our Travel and Vacation Directory at http://vacationsurfer.net/. This article is sponsored by http://akumalvacation.com/. Chicago is a beautiful city under the sun found on the shores of Lake Michigan, and is a great tourist destination particularly for lovers of jazz and blues music, theater and comedy. In terms of history, culture, and entertainment, no destination can beat Chicago. It boasts a rich architecture showcased by a number of skyscrapers that adorn the city’s skyline. Being a cosmopolitan city, Chicago accommodates people from different backgrounds and ethnicities, people who are very welcoming and friendly, something you can experience firsthand when you walk around the neighborhoods. Perhaps the most beautiful thing about this city is that it is truly unique, able to accommodate and cater to the needs of all holidaymakers with varying vacationing budgets. From the opulent hotels, to restaurants, pubs, boutiques, you will always find a facility and service that is within your budget range, whether you are on a shoestring budget or are ready to overindulge and spoil yourself. Beaches, parks, museums, galleries, churches, are few of the attractions that will keep you gawking in Chicago and wishing you could return. Some of the notable places that you should visit include the Field Museum, the Shedd Aquarium, the Adler Planetarium, the Lincoln Park Zoo, the Art Institute of Chicago, the museum of Photography and the National Museum of Mexican Art. As is with any other tourist destination in the world, if you wish to get discounts when using public transport or when visiting some of the tourist attractions such as museums and parks, you are advised to get the tourist card – known as the City Pass and Go Chicago Card. Notable parks in Chicago that you should visit include the Lincoln Park, the Midway Park, the Rogers Park, the Jackson Park, the Millennium Park, and the Grant Park. Away from museums and parks, you can visit ethnic neighborhoods that will give you a feel of the country or region represented. Some places you can visit include Chinatown, the Spanish Neighborhoods Little Village and Pilsen, Little Italy, Greektown, and the Polish neighborhood found on the Northwest part of the city. You should also make a point of visiting the Chicago Zoo, one of the largest and most wonderful of its kind. Chicago has stood the test of time, experiencing gang violence, bombings, a huge fire that destroyed a large part of the city, and a major racial strife, to remain the attractive and glorious city that it is today with so much to offer its visitors. As mentioned, the skyline in Chicago is well adorned with attractive skyscrapers standing stately and demanding instant attention. One notable building is the Sears Tower, which was once the tallest building in the whole country but was just recently eclipsed and identity changed to Willis Tower following its sale. Even so, the skyline is still a beautiful one and for a very good reason. After the first steel-framed building was erected back in 1885, Chicago became the pioneer of skyscrapers -- among them The Merchandise Mart, a favorite tourist edifice that is so huge it even has its own zip code. The other landmark that adorns Chicago’s skyline is the Trump Tower, a striking attraction that you can hardly miss on your visit to Chicago. The moment you land in Chicago, you will realize immediately why the city continues to inspire singers, artists, and writers, and why it continues to attract multitudes of tourists each year. If you have never visited Chicago, you are missing out a great deal. Make a point to visit one of the most vital pieces of cultural history man has ever known. 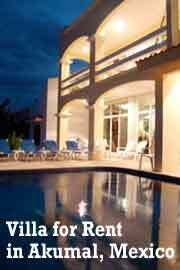 Browse our interesting http://vacationsurfer.net/Mexico/ Mexico Vacation and Travel Links. The largest city in the Province of Alberta, Canada is Calgary, which lies on the southern, grassland part of Alberta province. The city is located circa 50 miles east of the front ranges of the famous Canadian Rockies, and is surrounded by many high plains and foothills. 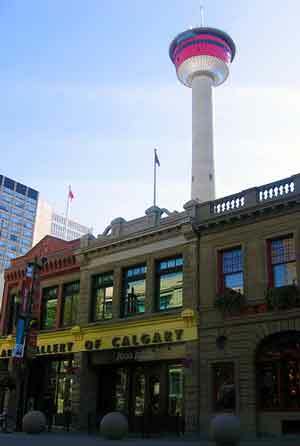 The city of Calgary is maintained by the petroleum, agriculture, high-tech, and tourism industries. It was the first Canadian City to host the World Olympic Winter games in 1988. There are two major rivers running across the city of Calgary – the Bow River located near the downtown part of the city and the Elbow River flowing northwards towards the Bow River. With that said, the city of Calgary is a wonderful destination, thanks to the many tourist attractions that await tourists. It offers the best shopping experience with great bargains on souvenirs and collectibles that you can take back home with you, great sporting activities, of course and great viewing and exploring activities, from the many city landmarks the place boasts of, to numerous national parks, vast parklands, and unrivaled fine bistros, bars, and restaurants that serve delicious delicacies sampled from all over the world. One place that you must visit when on a holiday in Calgary is the Aero Space Museum – the only place you will be able to learn about the history that surrounds the Aero Space industry. You will get to learn about the different guides who encouraged the human species to see beyond the world limits. It is at the Aero Space Museum where you will also learn the history of the mighty men, and perhaps women, who helped protect and guard the country Canada operating from the skies. Lastly, the Aero Space museum will educate and enlighten you on the airline evolution and the milestones the space industry has made since its start. The other must visit while on holiday in Calgary is the Calgary Zoo, boasting of a wide selection of varied animal species, some native to Africa and Australia. Not only will you get to see the traditional zoo residents as expected of any major national zoo, there is a part of the zoo that houses displays of prehistoric animals, hence offers a great opportunity to learn about the animals that existed decades ago. The Calgary Zoo is a great attraction for both young and old, making it an ideal one for family day outs. Away from the zoo and museums, another Calgary tourist attraction that is a must-see is the Calgary tower, soaring over 525 ft above the ground level. The observation deck of this skyscraper gives you an amazing opportunity to view the city of Calgary and its environs through a glass floor. With such like attractions, it makes sense why many tourists throng the airports each holiday season headed to Calgary. You are guaranteed of a fun filled vacation, whether you go as a family or a group of friends. The next time you plan on taking a holiday in Canada, Calgary is well worth a visit, with its pristine attractions and charm. Visit our Vacation and Travel Directory. Located circa 200 miles east of San Francisco lies one of the most popular parks in the US – Yosemite National Park. This park receives over 3 million tourists each year all eager to explore the charming landscape, steep cliffs and attractive waterfalls the place has on offer. It takes circa 3-4 hours to drive from San Francisco to Yosemite National Park by road, but the trip is well worth it as there is so much in place for you including hiking, rafting in Merced River, professional photography, camping, horseback riding, biking, snowshoeing at the Badger Pass, and skiing. 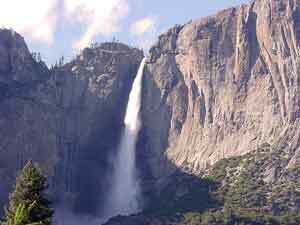 Yosemite National Park is particularly popular among mountain climbers thanks to the 3500ft vertical granite wall of the famous El Captain. Even though the park spans 308283 ha , the most famous part among tourists is the 7 square miles of the Yosemite Valley. The park is most visited starting from early spring to early September i.e. from February to May. Entrance fee in Yosemite National Park is $20 per car and is valid for seven days. You can opt to drive around the park yourself but the management encourages using the free available shuttle buses heading to most popular spots for purposes of ensuring the park remains free of pollution and of course to maintain uniformity and the park’s natural charm. The only place you are allowed to buy food while in the park is Yosemite Valley. While all the main roads are well maintained and beautifully plowed over the snow season, the National Park Service management expects that all drivers driving private vehicles carry tire chains. Even though high traffic is very common particularly at the entrance, it is always worth it keeping in mind the charm that awaits you ahead. Tioga Pass – this is circa 9950ft high from the ground level and provides stunning views of the national park. Tioga Pass is only accessible over the summer months around June and July since the place is located at a height that receives quite heavy snow during the winter months. You will also get an opportunity to see some charming wildflowers and sequoias. Half Dome – this is a granite dome in the park found on the eastern part of the Yosemite Valley. It is arguably the most familiar sight of the park, with its crest rising to over 4,737ft above the floor of the valley. Glacier Point Road -- this is circa a 30 miles drive from the main visitor’s center and is always open from late May to November. 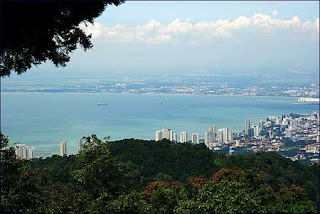 The Road gives the most impressive and stunning views from the height. Most tourists will take short stops, hike and take pictures. Mariposa Grove -- this is the biggest grove of huge sequoias in Yosemite National Park. The biggest Tree – Grizzly Giant is around 1800 years old. The tiny country of Costa Rica has very many attractive beaches, with each having a unique setting for each holiday maker’s needs. The best beaches in Costa Rica have been responsible for the millions of holidaymakers who throng this part of the world each year. You will be spoiled for choice when it comes to enjoying water activities and sports -- be it windsurfing, swimming, surfing, snorkeling etc. Here is a list of the leading 9 best beaches in Costa Rica. - Playa Dominical is thought to be the best surfing beach the world over. It is strategically located 44km south of the famous Manuel Antonia National Park and offers the most splendid and beautiful landscape covered with colossal plantations, estuaries, coastal mangroves, and marshes. - Playa Tamarindo is thought to be a laid-back and somewhat expensive beach but the town offers posh hotels that have mouthwatering bed and breakfast meals, great shopping experience, and pristine beaches, no wonder tourists can’t help but spend in this beautiful destination in the world. - Also worth noting is Montezuma, the beach found on the south of Nicoya Peninsula and which is synonymous with surfers and youths. 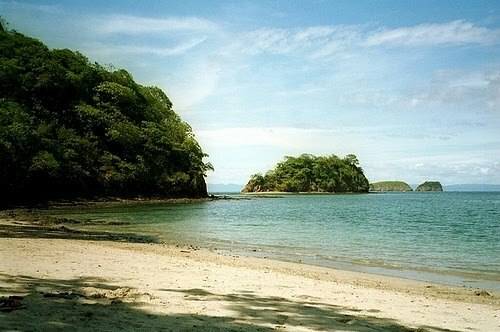 Just like Playa Dominical, this is also a laid-back destination notable for attractive estuaries and natural mangroves. - Less developed beaches such as Playa Mananillo are also becoming synonymous with tourists, especially those who love to surf. The white sandy beach stretches down to the Pacific. It boasts attractive almond trees that provide shade for holidaymakers who love to read as they relish the serenity of the waters. - The Manuel Antonio beaches together with the amazing horseshoe bays are the leading favorite in the world, thanks to the magnificent waterfalls and breathtaking hilltops sandwiched in the jungle. Surfing, kayaking, snorkeling, diving are few of the activities that await you in this destination. - The 8th beach in Costa Rica is Tortuguero, located north of Limon. It is surrounded by charming thick palm trees and freshwater canals. These beaches are however considered unsafe because of the unpredictable currents but their pristine nature is well worth appreciating. - If you would rather relish the lavishness of a well developed beach, look no further beyond Playa Jaco, which is strategically located near San Jose, the capital city of Costa Rica. The capital has no beach of its own yet, but Playa Jaco offers a number of services and when compared to Tamarindo beaches, it is a lot more affordable if you are looking to live near bistros, hotels, and surf shops.